It is now the time of year to make up for the gifts that you wanted for Christmas, but didn’t find sitting under the Christmas tree. Although you love the socks your mom got for you…this genuine leather crossbody bag is more of the present you were looking for, right!?! 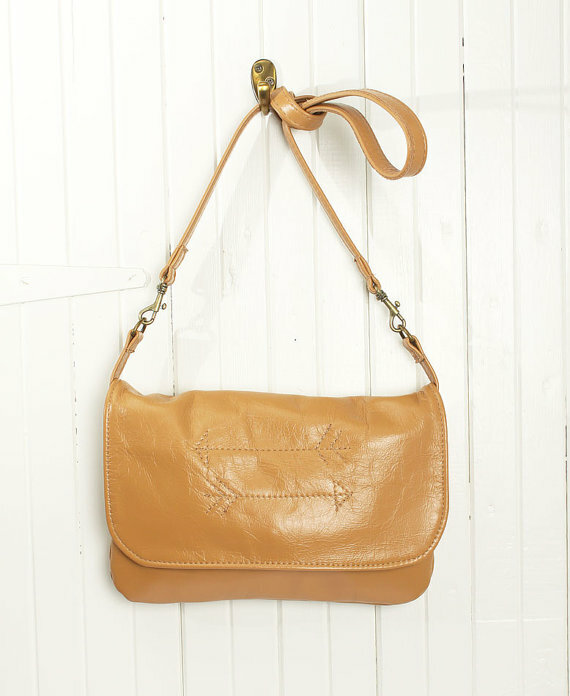 Supple leather in a neutral khaki color with sewn embellishments on the front, makes for a sweet after-Christmas buy! Shiny, soft, and supple leather! Leather is the mark of luxury. 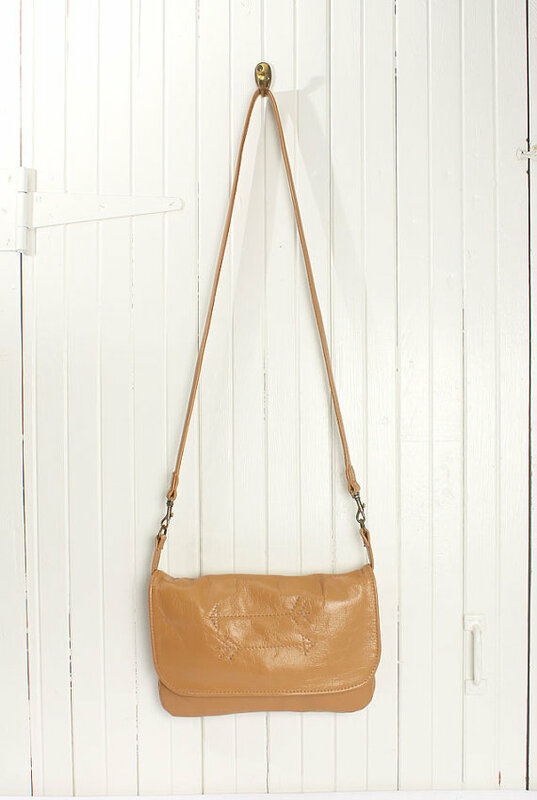 And this small crossbody bag is constructed of gorgeous and soft genuine leather. In a beautiful and natural tan color, the leather is shiny and uniform across the piece. The shoulder strap is made of the same leather. The neutral color makes this purse easy to match any outfit. 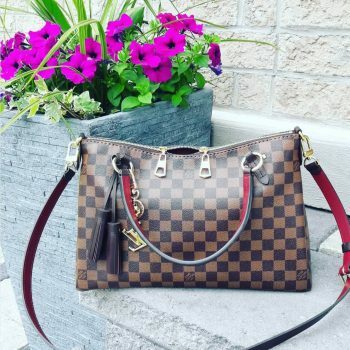 With the simple structure of a typical purse, rounded and closed by a fold-over flap, this bag has all the makings to be your standard go-to bag. 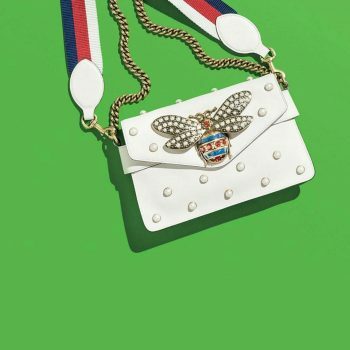 And beyond the flawless stitching that lines the bag, the stitch embellishment on the front of the bag adds some unique and understated character! Cute arrow detail is right on trend! On the front of this small bag is a muted design formed from stitching. There are two stacked arrows that are parallel to one another but facing opposite directions. Each arrow is about 4 inches in length. 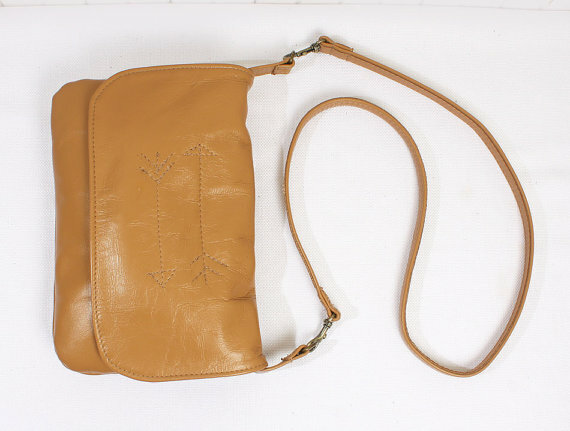 The arrows add a southwestern vibe that is heightened by the tan color of the bag, which is reminiscent of sand in the desert. Arrows are also a very trendy pattern recently from hipsters to moms, so this purse advances that fad in a new and stylish way. And since this bag can transform into a clutch when you remove the strap, you have multiple ways to show off the rustic style. Teal lining adds some surprising color! 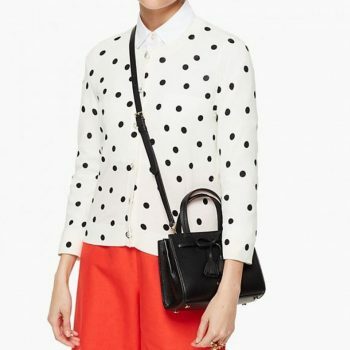 Unlike totes and messenger bags, this crossbody purse is on the small side. It does still provide enough room to carry all of your essentials, and you never have to worry about it feeling bulky. This bag measures just 7 inches tall and 10 inches wide; and since this is not a foldover bag, but instead closes with a normal flap, you don’t lose room when closing the bag. The flap does have a magnetic snap to ensure security when closed. 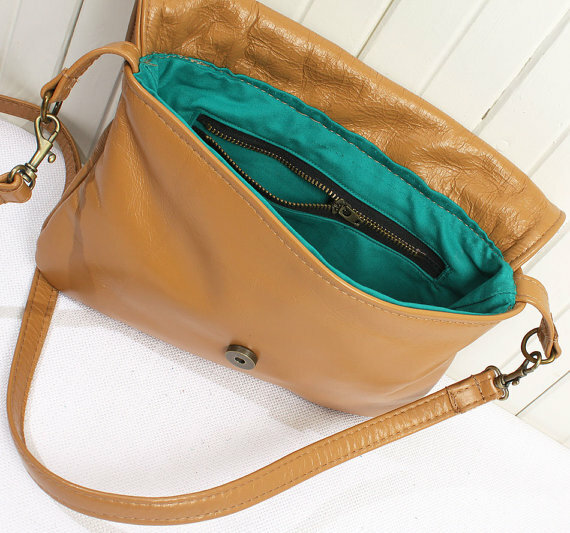 The inside of the purse is lined in a bright teal blue color that adds a nice pop of color! And there is a handy zipper pocket in the inner lining to keep you phone or keys, or the loose change that always ends up in the bottom of your purse. 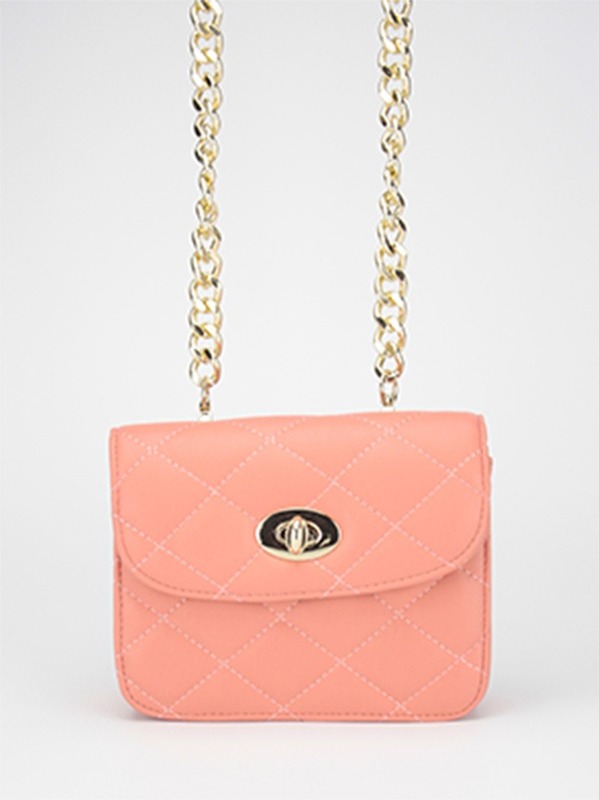 Ideal crossbody purse…but that strap removable for a nighttime clutch! If you didn’t get everything you were expecting this Christmas, this bag is definitely an easy way to gift yourself! 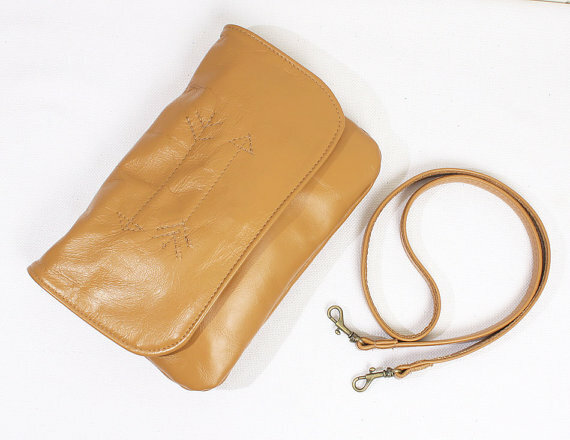 Gorgeous tan leather and intricate stitched detail that gives this purse a southwestern vibe, but still keeps it chic and trendy! Stitching embellishment on genuine leather! 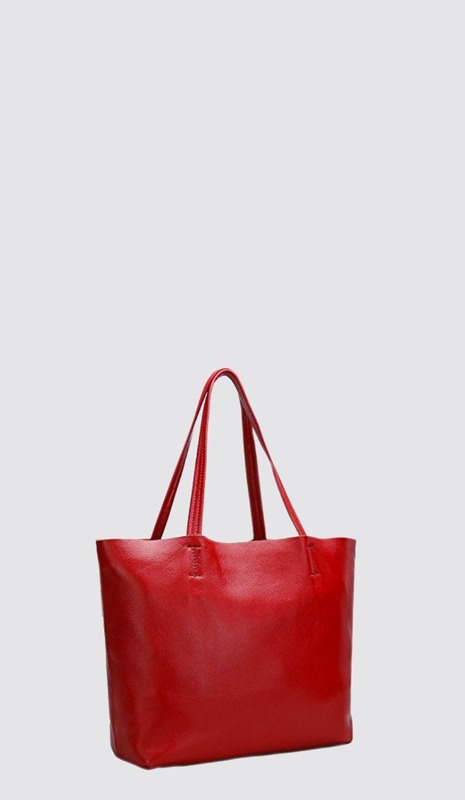 JulieMeyer has made other leather bags in other colors!